Learn more about the Lancaster Toyota culture. Our employees are the most valuable part of our business. We support, encourage, and cheer on our staff to be the most successful they can be. The work environment at Lancaster Toyota is friendly, fun, and helpful. Our employees work as a team to support each other. The managers in every department provide excellent training and take opportunities to coach their employees to be their best. 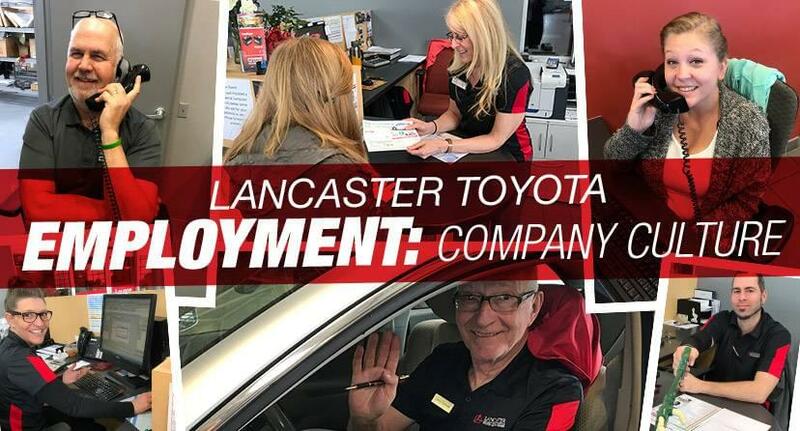 At Lancaster Toyota, we aim to have high employee retention. We have many employees who have been with the company for over 25 years. They have enjoyed success in their roles, career growth, and building relationships with their coworkers.